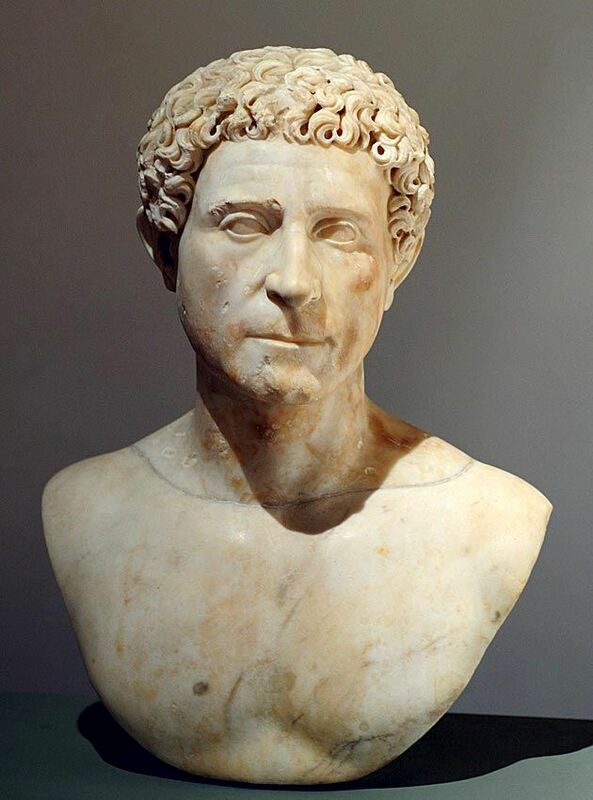 Quintus Labienus Parthicus was a Roman republican general, later in the service of Parthia. He struck coins in 40 BC as Imperator. After Julius Caesar was murdered by a conspiracy in 44 BC, Labienus took the side of the pro-republic conspirators, led by Brutus and Cassius, the latter of whom he served in the capacity of an ambassador to the Parthians. After Brutus and Cassius fled east to Macedonia and were defeated there in the Battle of Philippi by Caesar's imperialist successors, Labienus joined the Parthians. The Parthians invaded the Roman territories in 40 BC, led by Pacorus and Labienus. The Parthian army crossed the Euphrates and attacked Apamea. The attack on Apamea failed but Labienus was able to entice the Roman garrisons around Syria to rally to his cause. The combined Romano-Parthian army then proceeded to defeat Mark Antony's governor L. Decidius Saxa in a pitched battle and took Apamea. Under Labienus and Pacorus, the Parthians restored their territory to nearly the limits of the old Achaemenid empire and controlled all of Asia Minor except for a few cities but the Parthian successes were not long-lasting. In 39 BC, a Roman counterattack under Publius Ventidius in Asia Minor defeated Labienus, who was subsequently captured and executed.